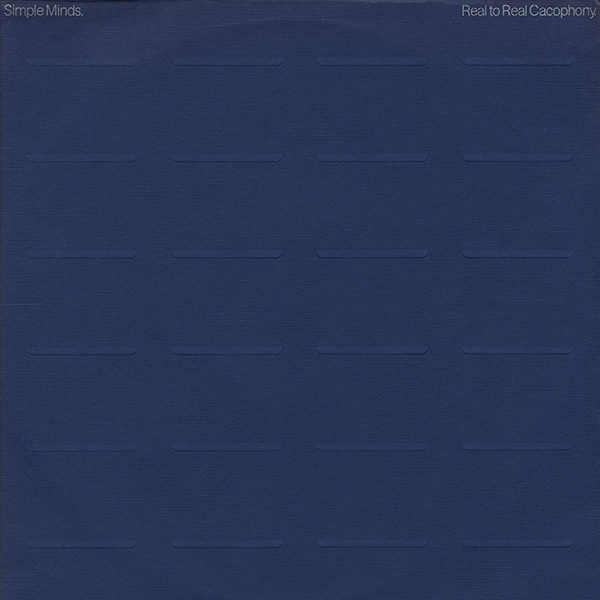 While the last 162 days have been about focusing on the music of Simple Minds, as a graphic designer, the notion of their cover art was deemed unimportant to the task at hand, yet I cannot end this mega-thread without at least a few words about their choice of album packaging. 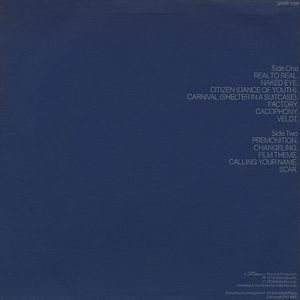 The packaging for the band’s debut was a very dated looking pastiche of a Hipgnosis cover from the early-mid seventies. Right down to the hand colored B+W photo on the albums’ back side. The heavily airbrushed cover almost has a kind of early Genesis vibe to it, which makes sense knowing that Kerr and Burchill were such fans. It really sticks out llike a sore thumb in the 1979 New Wave scene with none of the common tropes of that era used, save for the image of the venetian blinds that were used on the inner sleeve. This was not a cover that would have invited me to investigate had I encountered it in real-time. 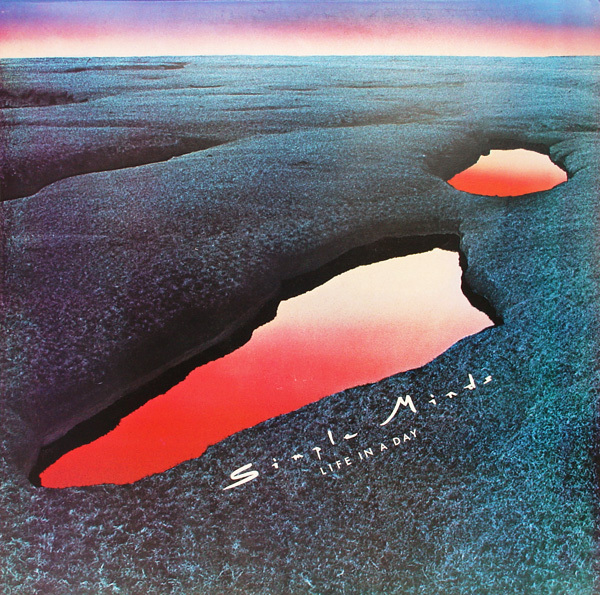 This entry was posted in Scots Rock and tagged 1979, cover art, Simple Minds. Bookmark the permalink. Yeah that debut album cover reeks of PROG! I have the Zoom/Arista fabric/textured cover for Real to Real Cacophony and it happens to be one of Favorite 50 album covers for its ability to convey more sensation from touch than sight. You’re right, it really does reflect the density of the music enclosed within the sleeve. Echorich – Arista appointed their staff artist to design the cover and thought they were getting a cheap 1 color job on colored paper! They blanched after they realized it was an embossed cover for this absolutely unfloggable disc. He did a great job at interpreting the music, but the inner sleeve suggests the inner sleeve for Peter Gabriel’s second album. They still had a toe in Hipgnosis cover design. Echorich – Really?! This is something that I should have known about! Hipgnosis were the AI of the seventies. Great in their time, but past their sell-by date by 1977. They had some great talent. George Hardie was probably trying to be the next Barney Bubbles, and that’s not a bad aim. Peter Christopherson was a triple threat with runs in Throbbing Gristle, PTV and Coil on one hand, and his video work on the other. I think that Storm Thorgerson and his penchant for visual puns was the fly in the Hipgnosis ointment. That Cranberries cover was one of the worst cover designs I’ve ever seen. Like a bad third rate Pink Floyd ripoff reject. The last great Hipgnosis cover was the seminal Peter Gabriel lIII [Melt].